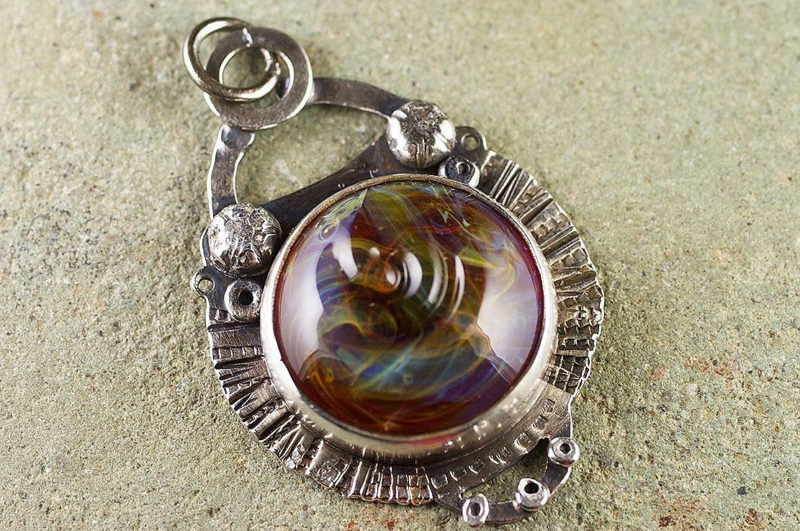 Boro Swirl Necklace – Borosilicate Glass, sterling silver. A fun one, quirky, with a learning curve. I’m experimenting with textures! Boro glass is so gorgeous and creates layers and swirls of color like no other glass. I just got myself a more powerful oxygen supply to my torch, and I am looking forward to seeing what I can do with boro glass with that extra power! ← It’s a 100% fail if you don’t try.